After the beautiful and unexpected day in the Grand Staircase-Escalante region, we are off to see some more beauty today. We are taking Utah Scenic Highway 12 and I am a little sad that we don’t have time to explore the full highway. The highway crosses the most beautiful part of Utah and has a number of unpaved roads leading miles into the Grand Staircase-Escalante National Monument. One day I will be back to explore. 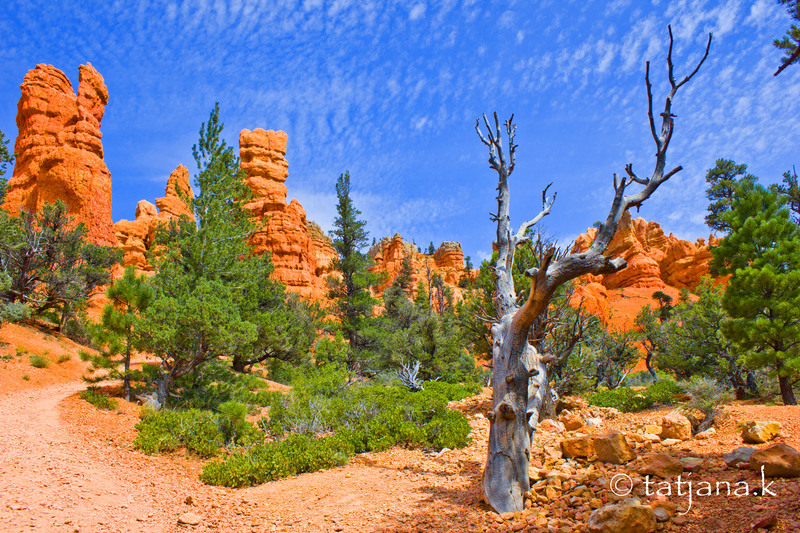 But today we are off to see Bryce Canyon. Which is not a canyon. 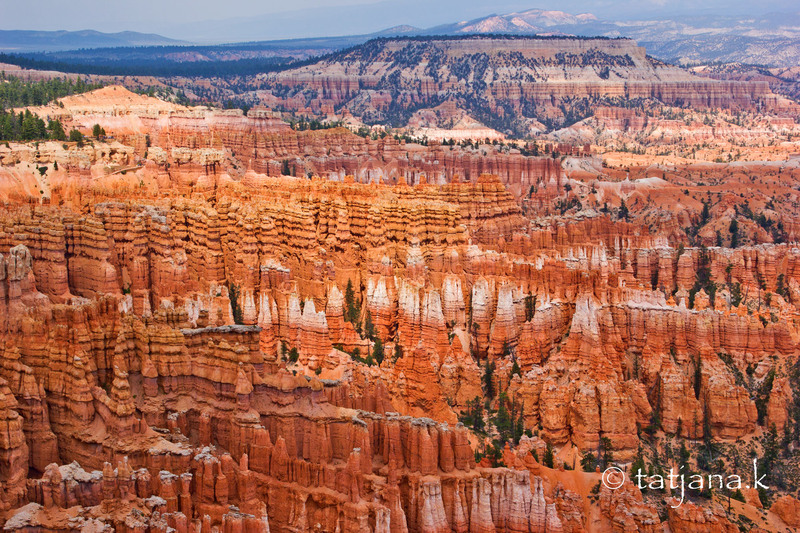 So, if Bryce Canyon is not a canyon, what is it? Is it a valley of odd-shaped rocky pillars? 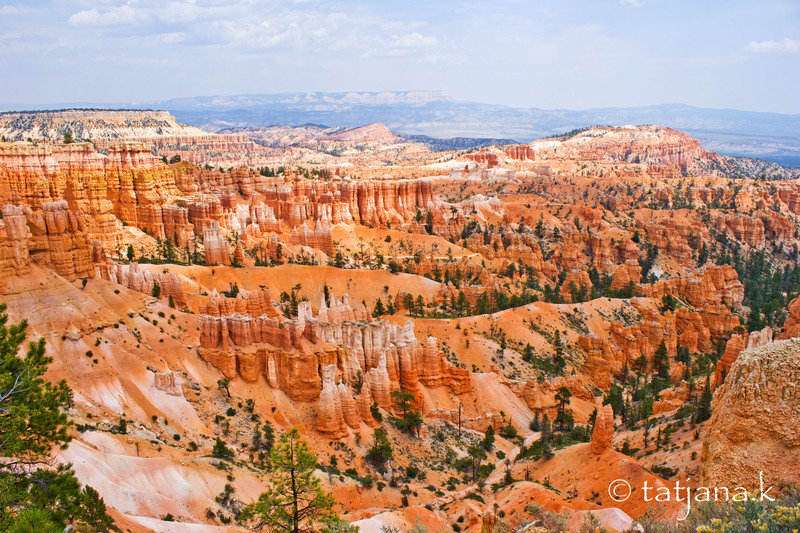 From the rim of Bryce Canyon, at Sunset Point and Sunrise Point, we see a sea of hoodos – the odd-shaped rocky pillars – majestically looking up at the sky in their beautiful red, white and orange-ish colors. The colors are the same that we saw yesterday near Paria. It’s beautiful but overwhelming. My eyes don’t know what to focus on, so I feel lost. We are spending the day exploring the rim and one thing becomes very clear to me: there are too many people. It’s fairly crowded and somehow doesn’t allow for quietly taking it all in. There is no “quietly”. There are hiking paths down into the valley and I know next time I’ll go I’ll skip the August heat and come back in a colder month and explore some of these hiking paths. 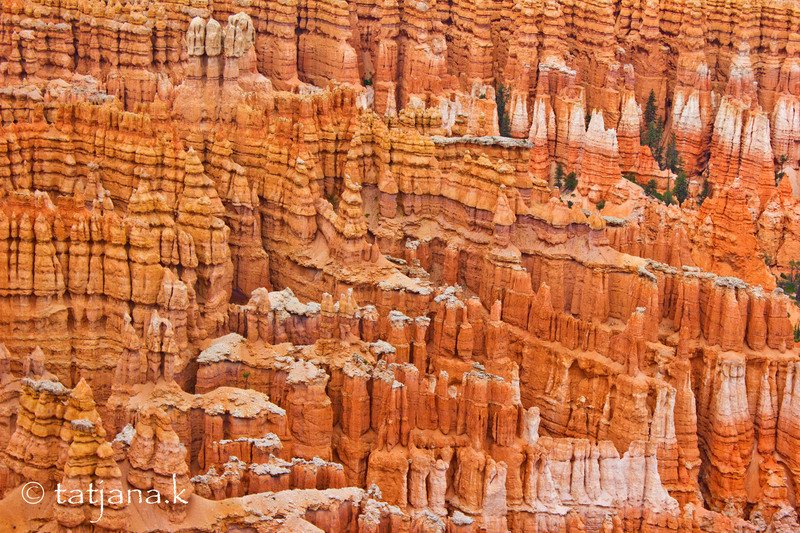 On the way back we drive through the rock arches of Red Canyon and just marvel at the beauty of nature. Back in Kanab, we walk over to The Three Bears Creamery Cottage where people are super friendly and a small ice-cream is Texas-sized. It’s yummy. Stop here when you pass through Kanab, UT. 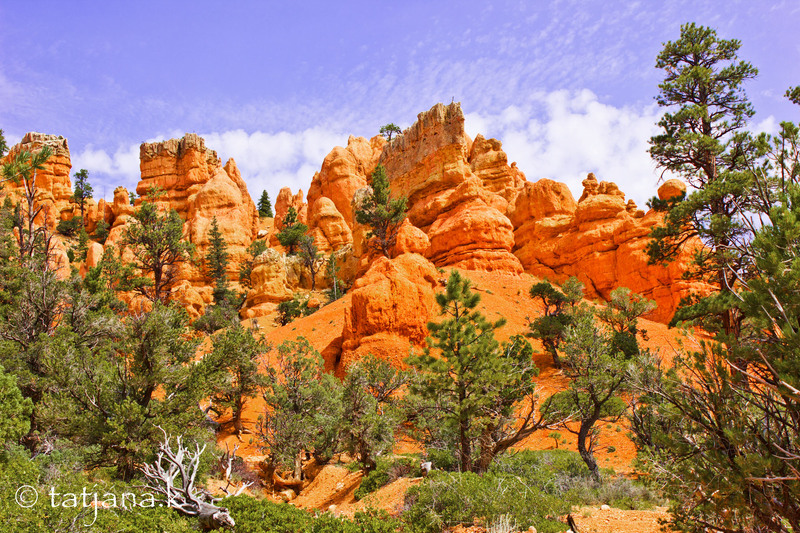 This entry was posted in USA Travel and tagged bryce canyon, grand staircase-escalante national monument, highway 12, kanab, red canyon, road trip, the three bears creamery cottage, travel, utah.